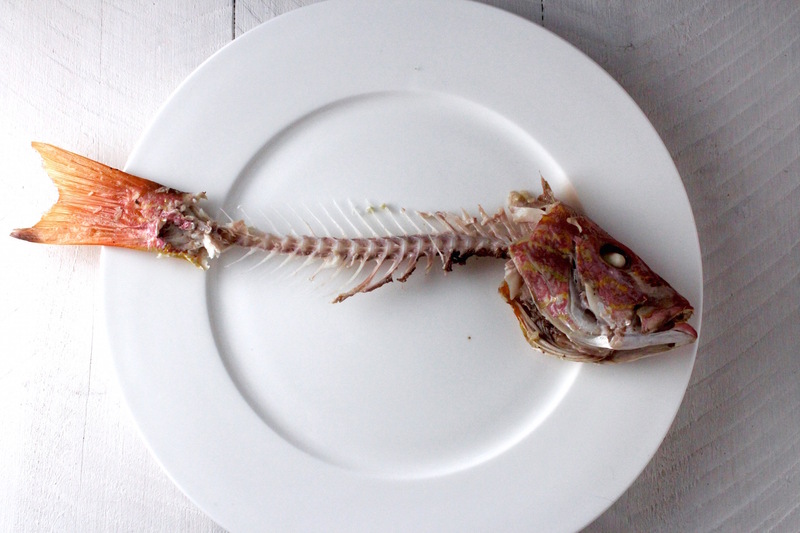 I’m often asked about the best way to cook fish at home. . .it seems that folks have had bad experiences doing so, with horror stories including overcooked fillets, dry edges with raw centers, fish stuck to the pan, and that ever-popular one about lingering smells of ‘fishiness’ in the house. While I’m no expert, I have learned about effective ways to cook fish, through trial and error (including one fire, but we won’t go into that). 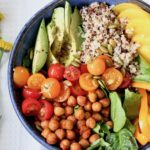 Fish can be cooked using a variety of methods like baking, broiling, sautéing, grilling, poaching, smoking and frying, but some actually do better using certain methods over others. When considering which to use, I generally make my decision based on whether the fish is fatty or lean. Fast-moving and active fish tend to hold more oxygen, which results in fatty tissue. Tuna falls in this category, and from hands-on experience, I can tell you that tuna are really fast-moving AND hard to catch! Their flesh is dark red, fatty and rich, which means it doesn’t need a lot of cooking time, and that’s why it’s usually served raw or just lightly cooked, to showcase it’s texture. 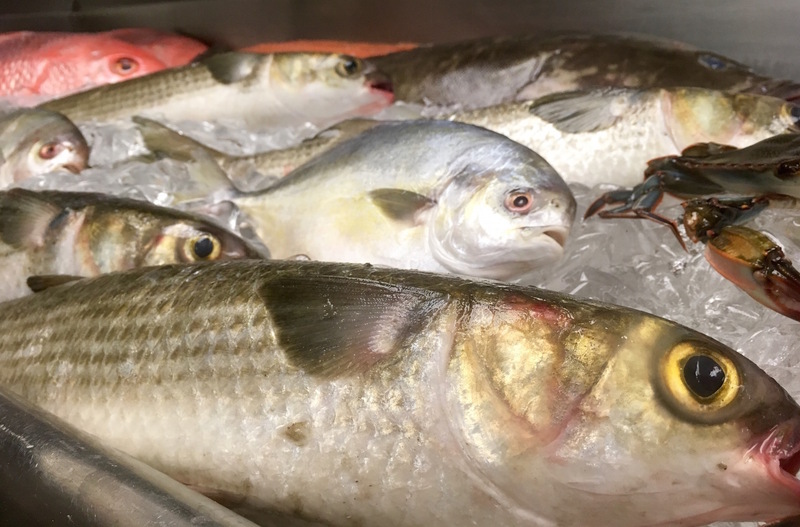 Fish like butterfish, Chilean sea bass, pompano, salmon, sardines, swordfish, whitefish and others also fall in this category, and they all do well using high heat methods like broiling, grilling or sautéing to simply sear in flavor, without a lot of cooking time. I subscribe to grilling or pan-searing this type of fish – they get a good crust, but the insides stay tender and moist. 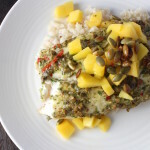 And I usually pair this type of fish with something fresh, to offset that richness, like citrus, fresh herbs, or even a sweet/sour combo of something. 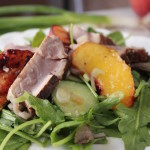 Here’s a tasty recipe for Yellowfin Tuna, Grilled Peach & Ginger Salad, just to give you some inspiration. 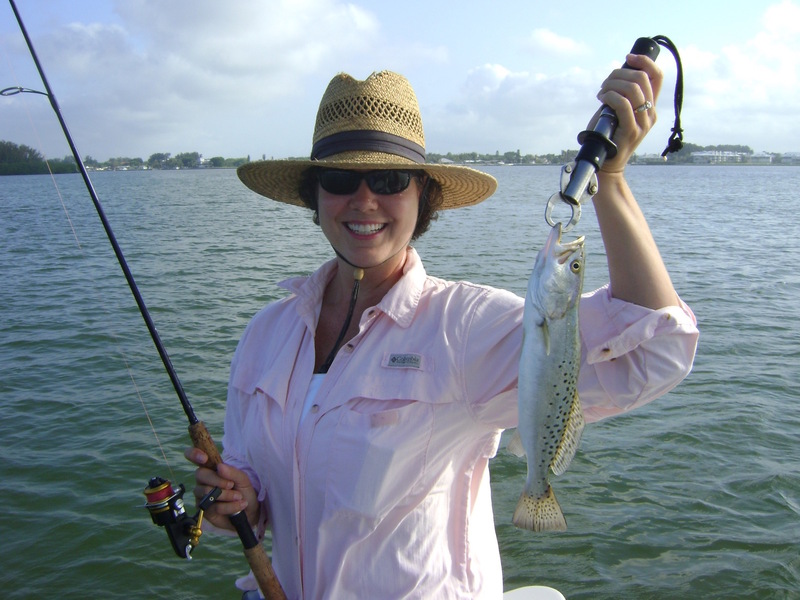 Species like bass, bluefish, catfish, cod, flounder, grouper, haddock, halibut, mahi mahi, mullet, orange roughy, perch, pollock, porgy, snapper, tilapia, tripletail, trout and others are considered lean. Their fillets are usually white (maybe even a little pink) and, when cooked, flake easily and taste mild. You’ll often see them deep-fried, or seared and served with a rich sauce to highlight their light flavor and texture. This is a major category of fish in my house and my cooking style of choice (for average sized fillets) is pan-searing on the stovetop. I simply salt & pepper each side, then slide the fillets into a hot pan with butter and olive oil (maybe a sprig of rosemary or some garlic), cook about 2 minutes on the first side, then flip and cook another 1-2 minutes and, voila, dinner is served! Sometimes, if it’s a thick fillet, after flipping, I pop the whole pan into a preheated oven (usually 350 degrees) to finish cooking for 1-2 minutes. This results in a nicely seared/flavorful outer crust, with silky interior. I also pan-sear when making fish tacos (skipping the oven step, though). Here’s a tasty, easy recipe for Flounder with Mint-Lemon Gremolata. Poaching is another of my favorite methods — the delicate fillets cook in a flavorful liquid filled with things like white wine, lemon, bay leaf, peppercorns, lemongrass, etc. You can even use olive oil as your poaching liquid, resulting in very silky fish. And sometimes I use the En Papillote method of steaming/roasting the fish by wrapping it in parchment paper (or foil) with lemon, veggies, fresh herbs, seasonings, etc., and either baking it at 350 degrees (on a baking sheet) or placing it on the grill. 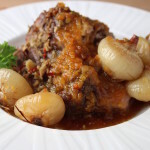 Within a short time you have a complete meal that’s moist, flavorful and oh-so-healthy. Here’s an En Papillote recipe using African Pompano, but you can use any fish, really. Buy the freshest fish you can find OR catch it yourself — it’s the foundation for a great dish. 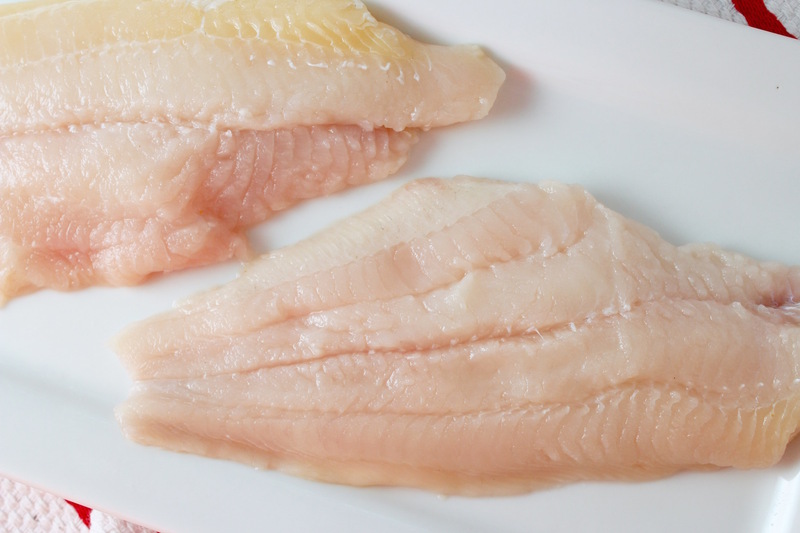 For fillets, try to get up close and actually smell the fish – I know this may be hard to do, but it’s worth it. If it smells like the ocean, you’re golden — if it smells fishy, move on. 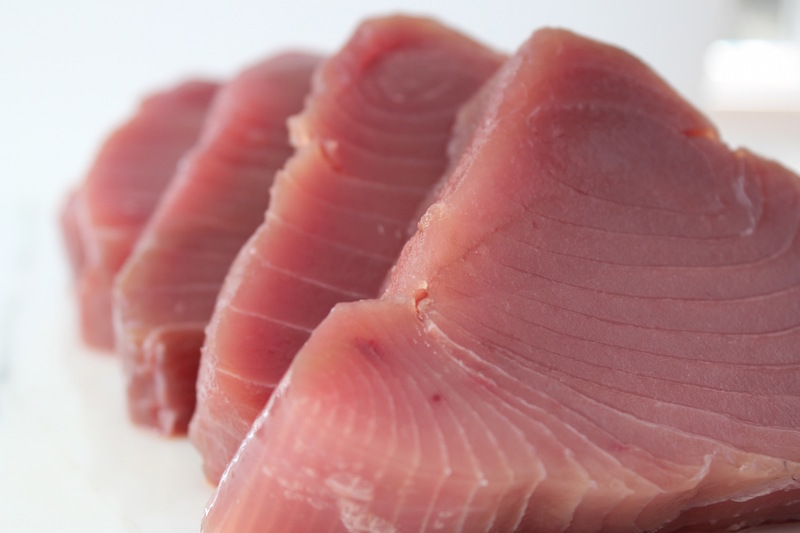 Flesh should be translucent, slightly pink (tuna varieties should be red, not brown) and firm. For whole fish, in addition to that famous ocean smell, look for clear eyes, bright red gills, shiny scales and no damage to the skin. Take the fish out of the refrigerator 15-20 minutes before cooking — this helps to ensure the whole piece (including the center) cooks evenly. Pat dry the fish, especially the skin (if you have it) — this helps to ensure it won’t stick to the pan. Sometimes the best seasoning is plain old kosher salt and f black pepper (or blackening spice). But be sure to season both sides. Get a heavy-bottomed pan screaming hot, then add a mild oil that can take heat like canola, coconut or grapeseed. I sometimes like a mixture of olive oil and butter. And be sure not to crowd the pan – only 1 or 2 fillets will do, so they cook evenly and don’t steam. Using a hot pan allows fish to cook quickly, reducing the amount of ‘fishy’ odor that might ensue. After placing fish in the hot pan you’ll hear an awesome sizzling sound. Let it sit for 2 minutes, then reduce the heat slightly. By getting a nice sear on the first side, it won’t stick, and flipping should not be a problem (which is your next step). If grilling, after placing on a hot grill, just let it be for 2-3 minutes, depending on thickness. Then follow the next step. After about 2 minutes on the first side, it’s time to flip, then follow the next step. Don’t make the mistake of flipping regularly. . .
A general rule of thumb is to cook fish 10 minutes for each inch (but that doesn’t apply to frying). After flipping, cook the other side only about 1 more minute if it’s an average thickness fillet. And once you flip, you have two options, in my book: 1) if it’s a thin fillet, wait 1 minute then simply turn off the heat and allow the fish to finish cooking using residual heat from the pan – about 1-2 more minutes, OR 2) if it’s a thicker fillet, have your pre-heated oven ready (350 degrees) and pop the pan right into the oven for another 1-2 minutes to finish cooking (it’s a gentler method of finishing the cooking process). Either way, these methods reduce the possibility of overcooking. But if you really want to check the doneness of your fish, simply stick a skewer or cake tester into the center. If it goes through with no resistance, it’s ready. 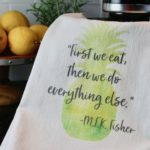 So that’s it, and I’m sure you’ll be a pro at your next dinner party! I make a lot of fish and really appreciate these tips. I love pan searing and now know how to do it properly! Thank you. I always learn from your blog. Glad you find it helpful, Wendy!